Need your tool box moved? Tool Box Towing & Transport. 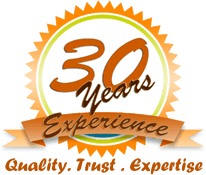 Classic Towing’s highly-trained technicians are experts in moving tool boxes using a 100% damage-free method. We understand the investment each mechanic has made in their tool box and what it means for their profession. This is reason why treat each tool box as if it was our own. When moving a tool box, the box is pulled up and secured using only soft nylon straps. No chains or metal hooks will ever touch your box, guaranteeing a scratch-less and dent-free move. Do you need tool box towing in Naperville, IL? What about toolbox towing service in Aurora, Plainfield, Bolingbrook, or anywhere else in the Chicagoland area? Look no further and make Classic Towing your first choice for tool box towing service in Naperville and all throughout Chicagoland. 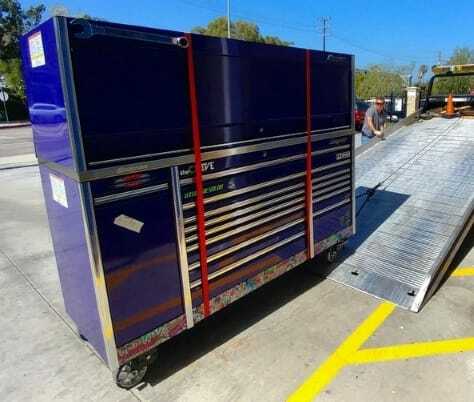 Getting the best local tool box transport service means choosing the right towing company. Classic Towing is the right company with its professional, expert service and a reputable 25 year proven track record serving Naperville and the Chicagoland suburbs. We provide dependable, cost effective tool box towing in Naperville, Aurora, Bolingbrook, and anywhere else within a 35 mile radius. We have the equipment, expertise, and staff to handle any tool box relocation job, big or small, 24 hours-a-day, 7 days-a-week. Call today for the number one rated tow company in Naperville, IL! Classic Towing… we are always just around the corner. Our tool box towing service area includes: Addison, Aurora, Bartlett, Batavia, Bensenville, Bolingbrook, Burr Ridge, Carol Stream, Crest Hill, Darien, Dekalb, Downers Grove, Elburn, Elmhurst, Elwood, Geneva, Glen Ellyn, Glendale Heights, Joliet, Lombard, Minooka, Montgomery, Naperville, North Aurora, Oak Brook, Oswego, Plainfield, Plano, Romeoville, Sandwich, Shorewood, St. Charles, Sugar Grove, Warrenville, West Chicago, Westmont, Wheaton, Winfield, Woodridge, Yorkville, and all throughout Chicagoland.